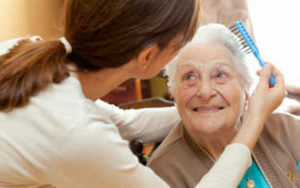 Personal Care is support that involves physical contact between carer and client. It can include washing, dressing, grooming, toileting and continence care. The intimate nature of Personal Care means that it is of the highest importance to select the right carer and care provider. At Care 1st, our carers will dovetail with your existing personal routine to ensure that you can continue to live your life the way you want to. Personal Care provision is tailored to your needs and can range from full support to waiting outside the room in case we are needed. Our carers are both sympathetic and professional and are trained in the latest techniques involved in providing a safe and dignified Personal Care service. Please contact us to discuss your Personal Care needs with one of our team. Looking for a career in the care industry? Check out our latest vacancies below.